Freeview is a service that provides your home with digital channels through your home aerial. All that is required for it to work is an aerial and a specifically designed receiver for Freeview, which can usually be bought from most retailers. Freeview Aerial Installation is a major factor in picking up a full free digital TV service. Various obstructions, (trees, high buildings, hills etc) often assist in the loss of reception strength, ultimately losing the quality of service. 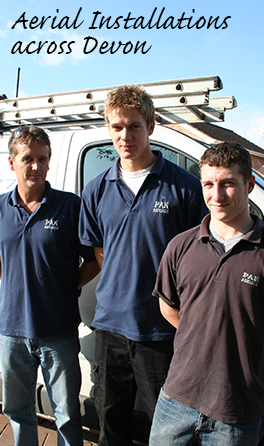 Our team are expert aerial installers, offering you a reliable and efficient service, ultimately allowing you to get the best from your digital TV. 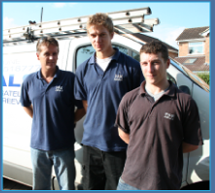 Our highly trained and skilled installation team can supply and fit a Freeview aerials on your property, so that your digital unit will receive the strongest possible signal available. What you see is what you get - there are no subscription fees with Freeview. 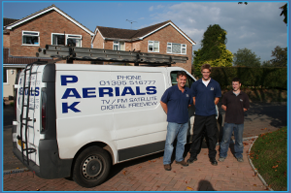 For more information on Aerial Installations in Devon, or any of the services seen on our website, simply contact us today and speak with the experts for free advice; contact Pak Aerials Ltd.